Description: New genuine Acer laptop dvd/rw super-multi drive. This drive does not include the front cover bezel or any mounting brackets. You would need to use the existing ones. Compatible Part #'s: KO.0080D.009, KO.00807.010, KO.00807.016, GU71N, UJ8D2Q. 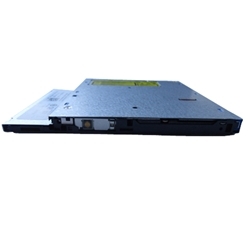 Acer Aspire E1-422, E1-430, E1-430P, E1-432, E1-432G, E1-432P, E1-432PG, E1-470, E1-470G, E1-472, E1-510, E1-510P, E1-522, E1-530, E1-532, E1-532P, E1-570, E1-570G, E1-572, E1-572G, E1-572P, E1-572PG, G3-605, M3-581T, M3-581TG, M5-481T, M5-481TG, M5-481PT, M5-481PTG, M5-581T, V5-431, V5-431P, V5-471, V5-471G, V5-471P, V5-531, V5-531P, V5-551, V5-551G, V5-561, V5-561G, V5-561P, V5-561PG, V5-571, V5-571G, V5-571P, V5-571PG, Z3-105, ZC-102, ZC-105, ZC-602. Acer Predator G9-791, G9-791G, G9-792, G9-792G, G9-793, G9-793G. Acer TravelMate P245-M, P255-M, P455-M.